Here's Just A Sample Of What We Can Fetch For You. Stay at one of the top pet friendly hotels, welcoming any number of pets with no size or weight restrictions and no pet fees, plus VIP (Very Important Pets) amenities. Premiere waterfront location close to the pet friendly beach at Rickenbacker Causeway, shopping and restaurants along Lincoln Road. 3 Night Packages (single or double occupancy) - CALL FOR PRICING. Luxury Spa “Doga” session, includes doggie massage and meditation, plus yoga for the pet owner. Airboat Adventure: any size leashed dog, no pet fee. Ask us about 5 pet friendly bars where your pooch will be served water and fussed over. Stay in a luxury hotel that’s so pet friendly there are no limits on the size or number of pets per room and no pet fees. Walk to Dog Beach at Prospect Park for a swim. Call the Pet Taxi or Pet Chauffeur and head to Bloomingdales, Saks Fifth Avenue or Tiffany's. Well-behaved leashed dogs of any size are welcome. Check out a pet friendly art gallery or sample the delights at over 30 pet friendly restaurants and bars. Check in to this outstanding pet friendly hotel for Sy'ruff Camp. 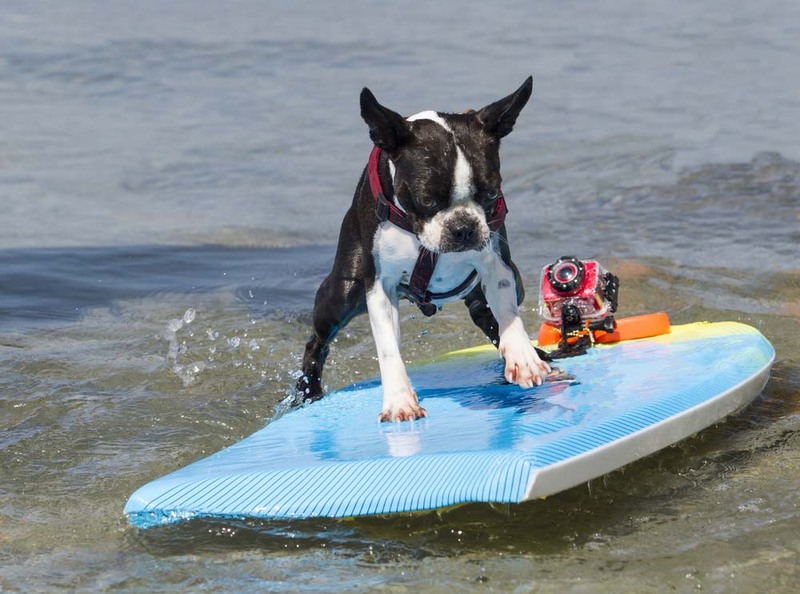 Your pooch will learn to "hang 20" in a special lesson taught by experts in dog surfing and receive complimentary board shorts and bandana. If you have a kitty, bring her along. Dogs and cats receive welcome gifts including a pet tag, bowl and special treat. Gourmet room service pet menus, plus 12 exciting restaurants welcome furry guests. Shopping at the 14-acre waterfront Seaport Village in nearby San Diego is pet friendly. Available during annual surf dog competition. Your pet does not have to compete. This premier hotel welcomes any number and size of furry guests with no pet fee, plus every pet friendly suite has a pet patio or fenced in yard. Hotel amenities include WIFI, two swimming pools and Spa privileges with no resort fee. Situated near the renowned, pet friendly Tlaquepaque Arts and Crafts Village, close to uptown Sedona, yet marvelously secluded. Hike through rolling hills, explore red rock arroyos and thrill to spectacular panoramic views. 11 pet friendly fine dining and casual restaurants. Special Top Dog Bonus! 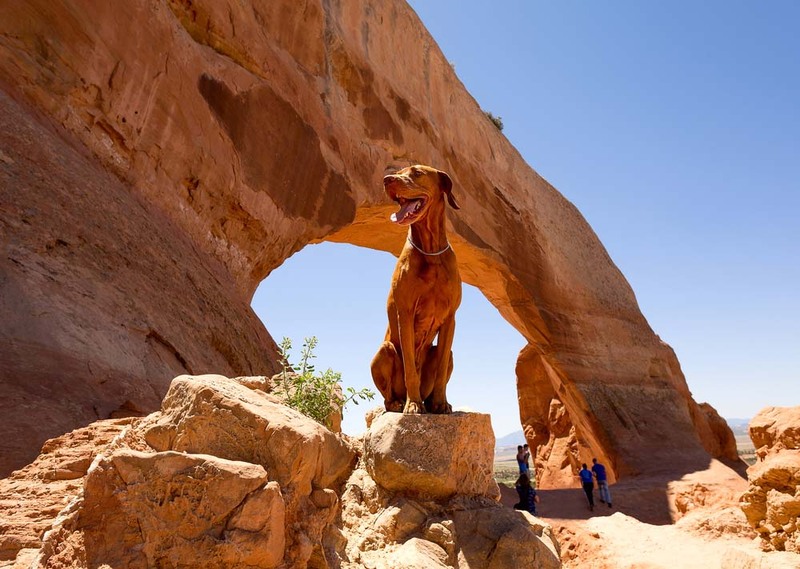 Complimentary pet friendly 2-hour jeep tour! Our feature hotel on Siesta Key welcomes 2 pets of any size to a luxury cottage with private patio. One time pet fee. Near Brohard off leash Beach and Paws Park. Sarasota and the surrounding areas offer pet friendly walking and hiking trails and dog-friendly shopping. 34 fine or casual dining restaurants welcome pets. Magnificent beach resort with stunning marina views. Water-sports including snorkeling, parasailing. jet skiing and windsurfing. 10, 000 sq. ft. boutique casino. 2 swimming pools, luxury Spa and fitness center. Pets up to 20-lbs. most welcome with pet fee. Miles of pet friendly white sand beaches and turquoise Caribbean waters. WiFi. Dine al fresco on property with your furry friend. Explore the authentic Bahamian village of Alice Town with restaurants, quaint shops and colorful straw market. THESE ARE JUST A SAMPLE OF OUR CUSTOM AND PRE-MADE PACKAGES. CALL TO SPEAK TO A PET FRIENDLY TRAVEL AGENT.